Before purchasing any dog, the buyer must do some research to determine if a particular breed will fit into the buyer's lifestyle. If you have determined that a Collie is the breed for you, the next and most important step is finding the perfect Collie for your family. This is not the time to look for a bargain; the cute puppy that you purchase will be a devoted family member for ten to fourteen years, so it is wise to choose your puppy carefully. 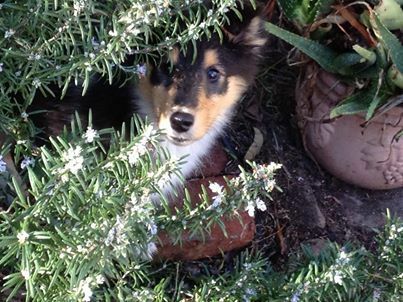 The best place to obtain a Collie puppy is from a reputable Collie breeder who has studied the breed and proven the quality of his or her breeding stock through both conformation shows and careful health screening. Although you may pay a little more for one of these puppies, you will be assured that your puppy is of the highest and healthiest quality and the breeder will be available to help you should any problems or questions arise. These breeders can be located in several ways: ask your veterinarian for a reference, attend some local dog shows and talk to the breeders present, call your local Collie Club, or contact your local Rescue group for a list of reputable breeders in your area. If you decide that an older dog would be more suitable for your lifestyle, Collie Rescue in your area may be a good place to look. These groups also screen the health of their Collies and will be available to assist you if you encounter any problems. Breeders may also have some older dogs to place. One warning is needed: the local pet shop is probably the worst place to buy a Collie. Many of these dogs are poorly bred, poorly socialized and may have a` variety of health problems.